hd00:17Forget-me-not closeup clip. Beautiful flowers. Nature video Full HD. Moving camera. hd00:29Daisies surrounded by tall, small clustered purple flowers dancing in the wind together. 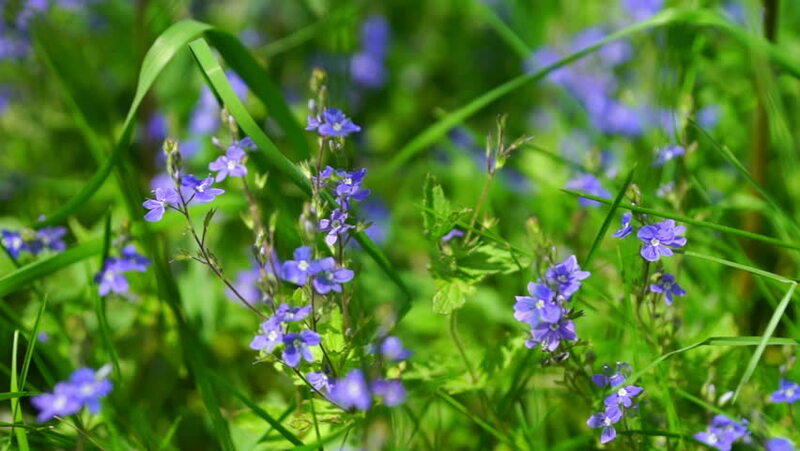 hd00:12Blue wild flowers Germander Speedwell (Lat. Veronica chamaedrys), selective focus with shallow depth of field.